gray whales | WhaleTimes, Inc. The team at Oregon Coast Aquarium’s Oceanscape Network has created an excellent video about whale behaviors for you. This installment of Oceanscape Network’s Science in Seconds provides footage of common whale behaviors you can observe from the water’s surface, whether you’re on a boat or watching whales from shore. Enjoy! Our Gray Whales: Celebration of Conservation Mission is under way! A gray whale is a baleen whale. A killer whale is a toothed whale. What’s the difference? This installment of Oceanscape Network’s Science in Seconds provides footage and information about the differences between baleen and toothed whales. Enjoy! 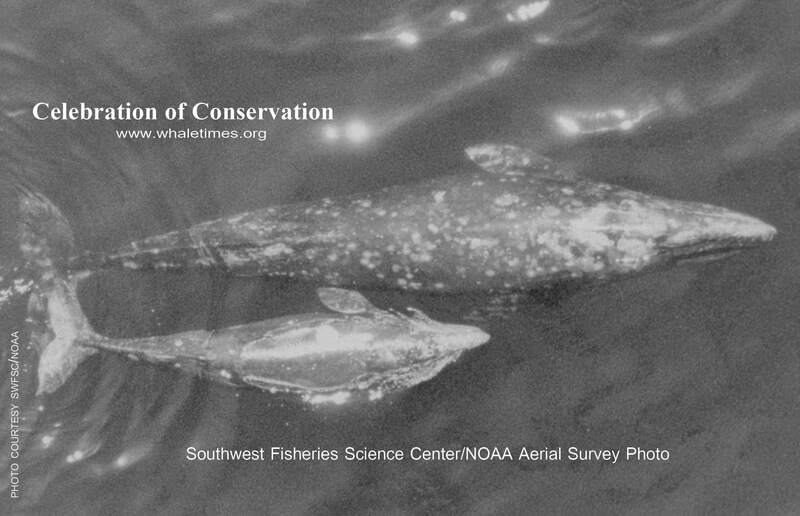 Gray whale and calf swimming north. In 2014, researchers counted 431 newborn gray whale calves. The story of the eastern gray whales, from endangered to thriving, is a beacon of hope for other conservation efforts. Once nearly extinct, conservation efforts lead to the eastern Pacific gray whale population rebounding and its eventual removal from the endangered species list in 1994. Today, about 20,000 of these bus-sized beauties thrive along the Pacific Coast of North America. That’s a definite cause for celebration! Join us in April to follow gray whale moms and newborn calves heading north to their feeding grounds. 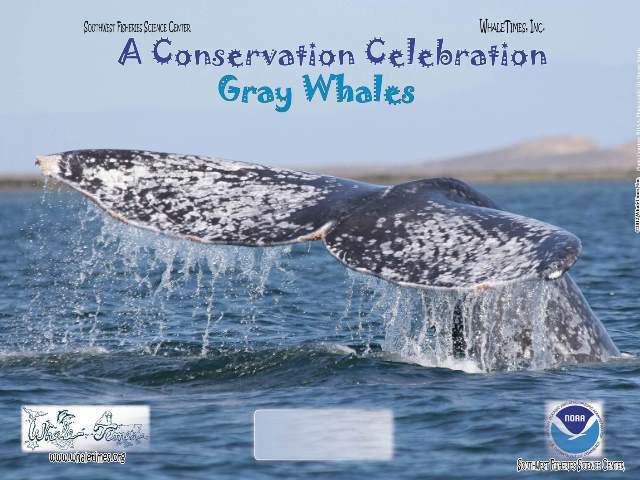 WhaleTimes’ Gray Whales: Celebration of Conservation highlights the astounding success of the gray whale recovery and current research to monitor the gray whale population. Teachers…enroll today! This program is free to schools, but has limited space. Find out more. Contact us at: graywhales2015 this URL.